JNN 02 May 2014 Riyadh : Defected Saudi prince who left the royal family of Al Saud for their widespread corruptions has voiced support to the imprisoned daughters of Saudi King Abdullah who are under house arrest in the city of Jeddah. In a post on his Facebook page, Prince Khalid Bin Farhan al-Saud praised Princess Sahar and her three sisters for their support for the uprising by “the oppressed people of the city of Qatif” in Eastern Province of Saudi Arabia. Prince Farhan defected from the royal family in July 2013, saying that the Saudi authorities “lie and pretend that the regime obeys Islamic rules”. His remarks came only days after the 42-year-old princess called on people in the kingdom to continue their anti-regime demonstrations. 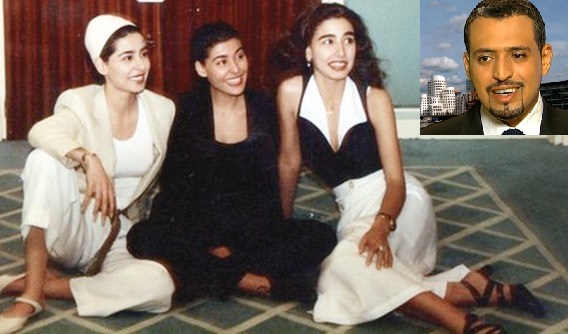 Sahar, Maha, Hala and Jawaher Al Saud are the daughters of Saudi King Abdullah bin Abdulaziz, who are reportedly being confined in a royal compound. They have not been allowed to leave the compound for 13 years. Protests against the Al Saud family have intensified since November 2011, when security forces opened fire on protesters in Qatif in Eastern Province, killing five people and leaving scores more injured. 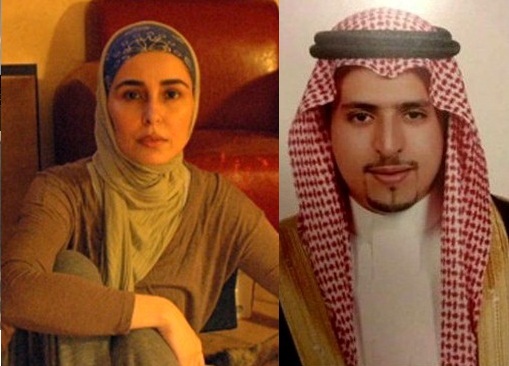 Activists say there are over 30,000 political prisoners in Saudi Arabia. This entry was posted in Middle East and tagged Maha, Saudi Prince Khalid Al Farhan Bin Saud, Saudi Princess Jawahar. Bookmark the permalink. Reblogged this on The Muslim Issue.